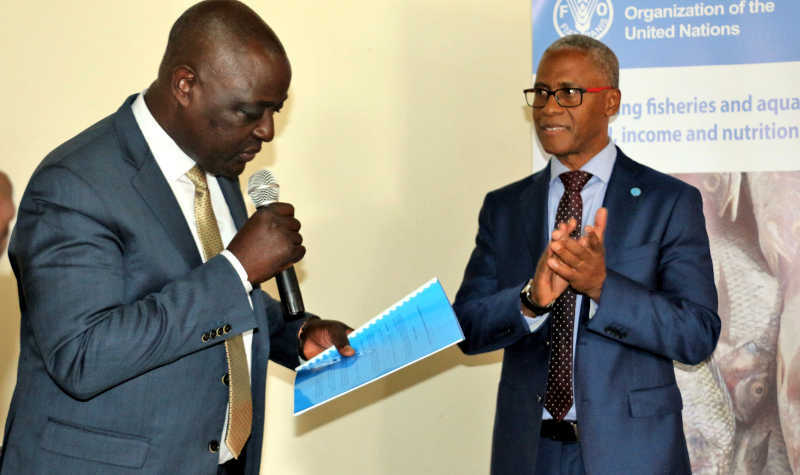 The Food and Agriculture Organization of the United Nations (FAO), together with the Ministry of Agriculture, this week launched a Technical Cooperation Project to support women and youth groups in fishing communities around Lake Victoria. The pilot project, dubbed Integrated Livelihood Support to Fishing Communities around Lake Victoria will benefit groups of women and youths in rural poor fishing communities in Kalangala, Kalungu and Masaka districts, with an aim of empowering them to diversify their income sources in fishing and fishing–related activities. The two-year Project, worth USD 277 000, (Approximately UGX 1 billion) will provide training and inputs to help beneficiaries to manage economically viable and sustainable interventions in their interest, including but not limited to aquaculture and value addition options for capture fisheries. The project comes on the heels of MAAIF’s recognition of the enormous challenges affecting fishing dependent communities, especially women and youth. The latter groups have remained marginalized, poor and with limited sustainable sources of income, because of overfishing, decline in fish stocks, illegal fishing, poor fish handling facilities and increased post-harvest losses. Unfavorably high competition for fishing grounds, brought about by overcapitalization of fishing has also contributed to this dire situation. To address some of these challenges, the Government of Uganda instituted management reforms aimed at boosting fish stocks. The reforms, which include regulating the number of fishing vessels and gears, instituting restrictive license fees and intensified monitoring, control and surveillance of fisheries activities, have greatly limited access to fisheries resources and facilitated exclusion of some members of the community from fisheries. While these stock recovery strategies are important and have yielded positive results, the Minister for Agriculture, Animal Industry and Fisheries Vincent Ssempijja, noted that some of the reforms have led to exclusion of a considerable number of fishers from the fisheries, and could potentially lead to increased risk of loss of livelihoods among fishing communities. He further stressed the need for alternative livelihoods for fishing-dependent communities in the most-affected district of Mayuge, Namayingo, Masaka and Kalangala, where majority of the affected are women and youths. The fisheries sub-sector contributes about 12 and 3 percent to Uganda’s agricultural and national incomes respectively, demonstrating its huge potential to provide employment, income and food security. Overall, the sub-sector contributes to the livelihood of nearly 5.3 million people while about one million people are engaged in capture fisheries and about half a million people are engaged in aquaculture. About 5,000 people are employed in fish industrial processing. Over 1.2 million people are directly dependent on the fisheries sub-sector as their main source of household income. Furthermore, fish forms an important part of diets, being a major source of critically required animal protein for about one million Ugandans. Through this intervention therefore, FAO and MAAIF will champion responsible and sustainable fishing while creating opportunities for women and youth in fishing communities to diversity incomes from fish-related activities.